"In a 15-point comparison chart between Mobil 1 and its nearest competitor, Mobil 1 led on most key points"
HOUSTON--(BUSINESS WIRE)--Mechanics have spoken once again: Mobil 1 is the overall best brand of motor oil in the United States, according to the independently researched and funded multi-year study from Frost & Sullivan. Mobil 1 has received the most No. 1 rankings as overall best brand of motor oil in Frost & Sullivan surveys since 2013, proving that year after year, Mobil 1 is the No. 1 motor oil. Almost fifty percent of the surveyed experts prefer Mobil 1 – a preference rate that’s nearly double that of any other motor oil brand. In this latest survey, a list of brand names was not provided to respondents, and yet Mobil 1 was still selected as “most prevalent motor oil” in nearly every category and region. “I use it in race cars, and it holds up better than anything else. Keeps it lubed, no metal flakes and it doesn't breakdown quickly." Qualified respondents were screened before participating in the survey to make sure they met requirements prior to full survey participation. Among Frost & Sullivan’s survey participants, 71 percent of auto technicians surveyed have more than 15 years of industry experience, and were only asked about the products with which they have personal experience. 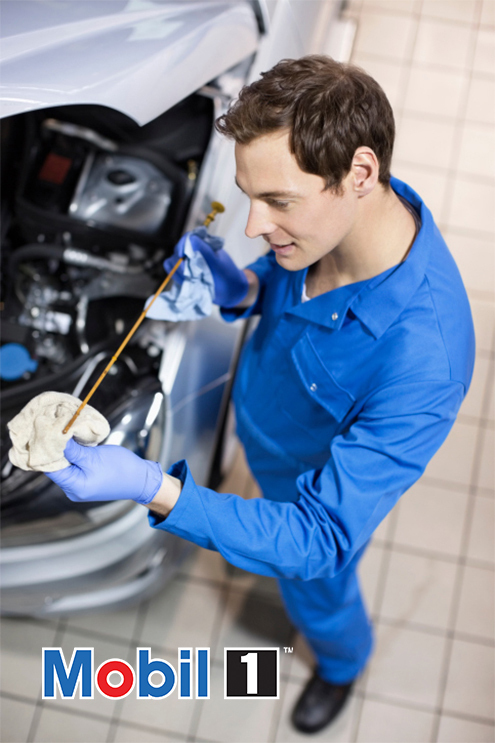 Additionally, 89 percent of the technicians surveyed work at an independent garage or repair shop. For more information on the Frost & Sullivan honor, visit mobiloil.com. Frost & Sullivan, the Growth Partnership Company, enables clients to accelerate growth and achieve best in class positions in growth, innovation, and leadership. The company's Growth Partnership Service provides the CEO and the CEO's Growth Team™ with disciplined research and best practice models to drive the generation, evaluation, and implementation of powerful growth strategies. Frost & Sullivan leverages more than 50 years of experience in partnering with Global 1000 companies, emerging businesses, and the investment community from more than 35 offices on six continents. To join our Growth Partnership, please visit www.frost.com.